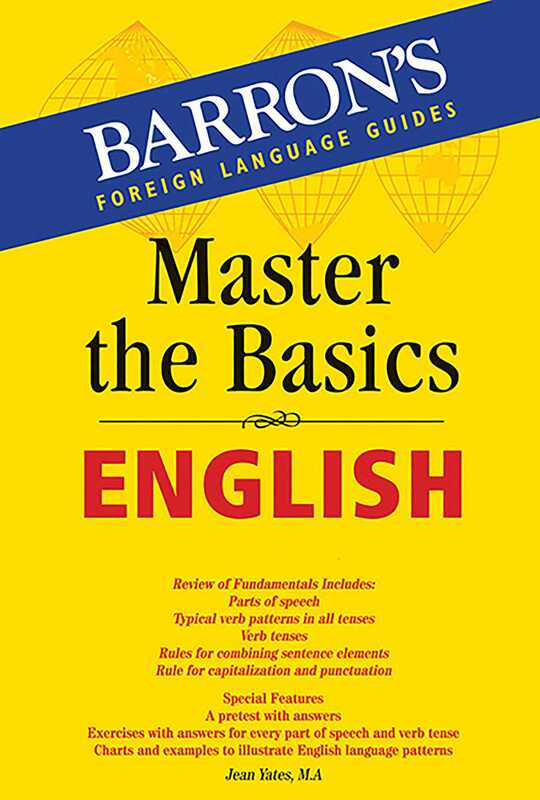 Written primarily to help students of English as a Second Language improve their fluency and do well on standardized tests such as the TOEFL and IELTS, the new edition of Master the Basics: English-- Covers fundamentals of English grammar Reviews parts of speech Analyzes all verb tenses Provides guidelines for basic English sentence patterns Summarizes rules for capitalization and punctuation in written English Special topics include how to express numbers, days and dates, time, and weather. A Test Yourself section offers many mini tests with answers. Review exercises with easy-to-reference answer keys included for each section. This latest edition includes a new chapter that helps learners identify and avoid common mistakes in pronunciation, punctuation, subject and object pronouns, adjectives, verbs and adverbs. More books from this author: Jean Yates Ph.D.